We live in the future. With robots and machines doing all sorts of things that used to require the human touch, we’re living out the dreams of our sci-fi-dreamer parents and grandparents. Robotics are so pervasive in our everyday lives that we often don’t even notice when an awesome new piece of technology is unveiled. These robots are some of the weirdest, most clever and helpful to come along recently. Ever-1 is a Korean android that is able to move its upper body, speak, and make facial expressions. It can even make eye contact with the people near it. Although it can’t move its lower limbs, it can be used to read to children or provide information in a public setting. The singing, fully moving Ever-2, the follow-up android, was introduced in late 2006. Ever-2’s face was noticeably less real-looking…and sort of creepy. The Korean public protested its doll-like visage and the Ever-2 was eventually given plastic surgery to look more like Ever-1. 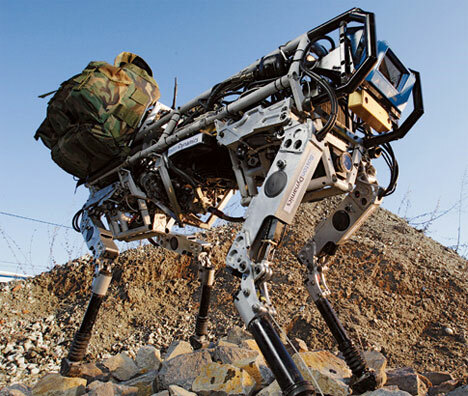 If you’ve ever visited the internet before today, chances are you’ve already seen video of Boston Dynamics’ Big Dog in motion. Still, it bears a mention because, overplayed though it might be, it’s still pretty amazing. The gas-powered hydraulic quadruped moves in an eerily animal way and can easily adapt to its terrain, as well as outside influences like icy pavement and a guy kicking it. Just like a real dog. We’ve known for a long time that animals with whiskers boast superior navigational and balance skills. Their whiskers act as extensions of the animals’ sensory systems and allow them to get around with grace. 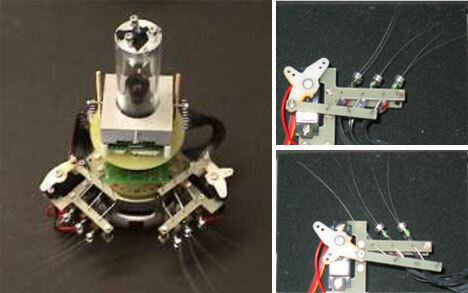 Researchers have grabbed on to the power of whiskers and developed a number of robots meant to mimic the navigational skills of rodents. The AMouse (Artificial Mouse, of course) was built by researchers from the University of Tokyo in Japan and the University of Zurich in Switzerland. Real mouse whiskers were used. The eventual practical applications of the technology will be for performing repair work in tight spaces, detecting hazardous gasses, exploring confined surroundings, and chewing open every box in your pantry (we’re guessing on that last one). The Robota Dolls from USC may look a little…terrifying. 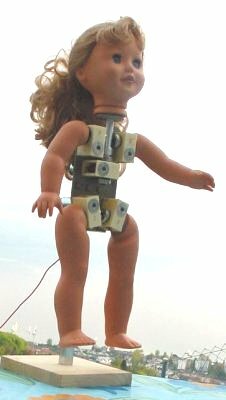 They’re reminiscent of lots of misguided childhood robotics experiments, not to mention that whole Chucky thing. But Robota dolls have a significantly more beneficial use: they help autistic children learn to react to facial expressions. They can also be used for a variety of other learning games and activities for handicapped children. 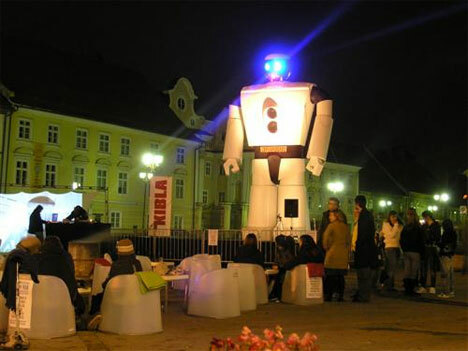 In what is definitely more like art than science, Martin Bricelj’s eight-meter-tall Robovox is poised to become the new annoying loud guy at the party. 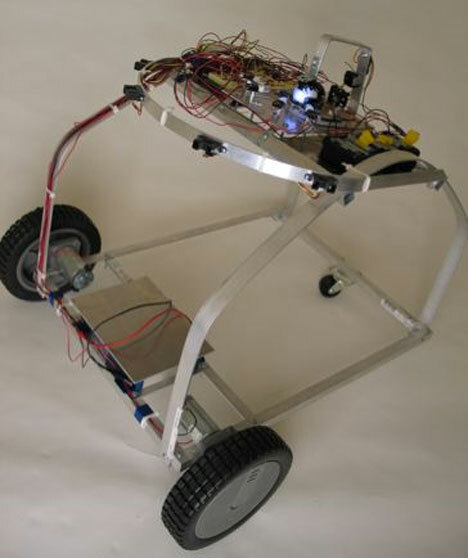 The robot is transported around the world and placed in various public places, then people can use their mobile phones to send text messages to it. The robot will then read out the messages, effectively making that one person’s voice heard in the crowd. Which is all well and good until everyone gets an eight-meter-tall robot to do their talking for them. If you grew up in the 80s, you probably remember watching the Transformers cartoons and wishing they were real. If you saw the recent Transformers movie, you’ve probably spent a lot of time wishing they’d just go away. But we promise, this real transforming robot is much cooler than either of those because it’s real. 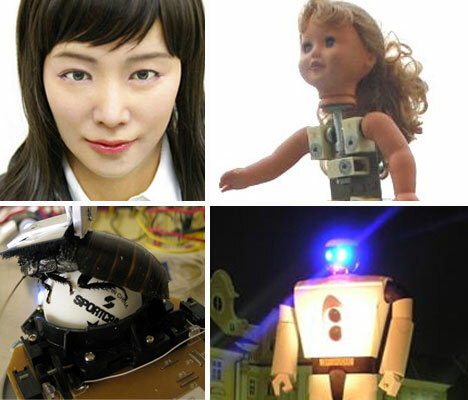 The WR-07 Robot was created by Himeji Soft Works in Japan. 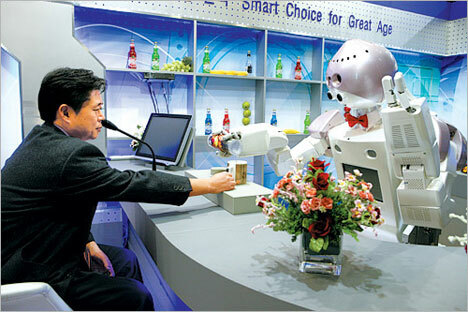 In 2005, attendees at the APEC forum were greeted by a rather robotic bartender. No, not the kind who says “mm-hmm” and looks disinterested no matter what you say – an actual robot. The “T-Rot” can recognize speech, fetch items it’s asked to get, and pick up delicate items thanks to its incredible synthetic skin. The skin can detect different pressures, just like human skin, and adjust its grip accordingly. 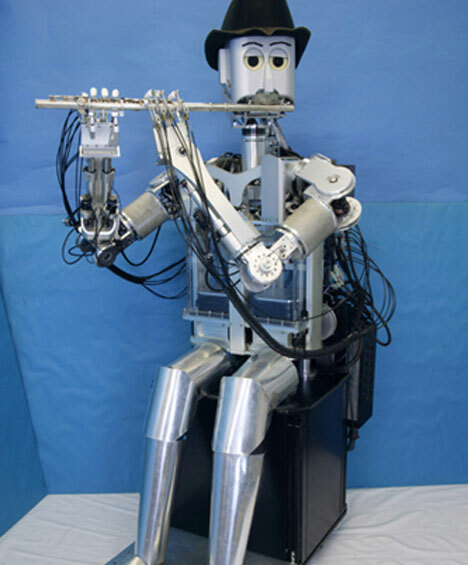 Waseda University has been developing a flute-playing robot since 1990, but the most recent version, the Waseda Flutist No. 4 Refined IV (WF-4RIV), has taken the media by storm. This amazing mechanical man can play a perfect rendition of “The Flight of the Bumblebee” with mecha-lips and mecha-lungs. 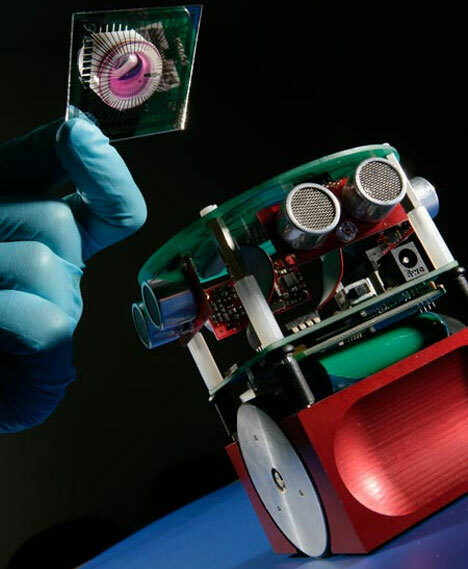 The last two robots on our list have a crucial feature in common: they’re operated by pests. 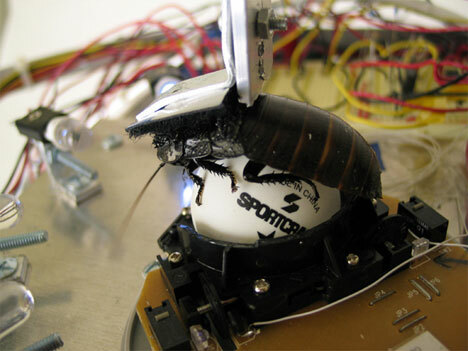 We can’t say that a cockroach-driven robot is the scariest thing we’ve ever seen, but it just doesn’t seem like an awesome idea. Give a perpetually abused but practically invincible bug a robotic vehicle and let it run loose? Yeah, nothing bad could come of that. But even more amazing is this robot that runs on rat brain cells. The cells are still alive and trained to perform the tasks of moving the robot around. The research centers on eventually disrupting the memories of the brain cells to simulate Alzheimer’s or Parkinson’s Disease. This will help researchers study how the brain deals with such disruptions.